Gobbledygeek episode 303, “Don’t Be What They Made You,” is available for listening or download right here and on iTunes here. People get old. Claws get rusty. Movie franchises get tired. After 17 years of real-world time and 150+ fictional years, the time has come for James “Logan” Howlett AKA Wolverine to take a bow. In Logan, the final film featuring Hugh Jackman in his iconic star-making role, we’re introduced to a near-future bereft of mutants and full of sorrow. 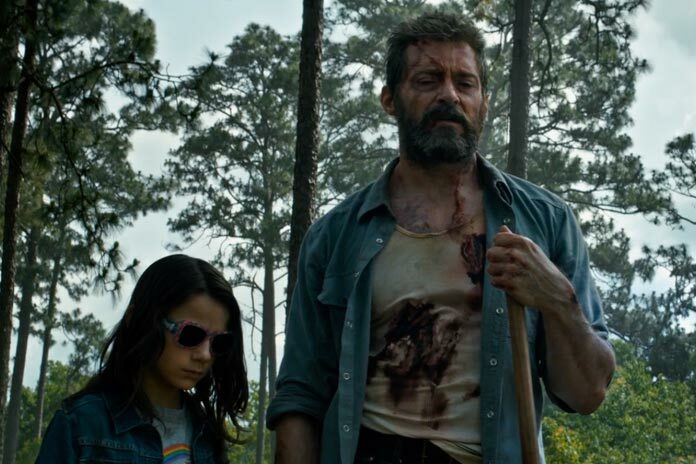 Logan’s mind is a potent cocktail of regret, pain, and futility. When a young girl named Laura throws him back into action, he takes the nonagenarian Professor X on the road for one last adventure. Though “adventure” is not a word one would use to describe this brutal, melancholy film, about as far in tone as you could get from any of the nine previous installments in the X-Men series. Paul and Arlo discuss the film’s worthiness as a swan song for Canada’s most violent, how it fits perfectly alongside Cop Land in director James Mangold’s canon, whether or not the very R-rated violence is gratuitous, and if in a perfect world this should be the end of the X-Men’s silver screen career. Next: Paul and Arlo will be subjecting each other to yet another Geek Challenge. Paul must finally watch Tommy Wiseau’s infamous 2003 cult classic The Room, while Arlo is tasked with Sidney Lumet’s 1982 crime comedy Deathtrap. This entry was posted in Shameless Self-Promotion and tagged action, boyd holbrook, cop land, dafne keen, film, gobbledygeek, hugh jackman, itunes, james mangold, libsyn, logan, marvel, movies, patrick stewart, podcast, sci-fi, science fiction, stephen merchant, superhero, superheroes, western, wolverine, x-men. Bookmark the permalink.